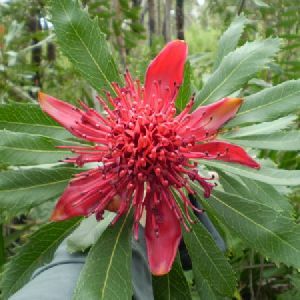 From Engadine Railway Station, this walk ventures into the centre of the Royal National Park, through light scrub. 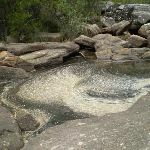 Highlights include Tuckawa Rill Creek, where the cascading water and small rock pools contrast beautifully with the surrounding dry bushland. On from here, there are great views of the Hacking River from the Robertson’s Roundabout. The walk then descends into the park lands surrounding the visitor centre at Audley. Turn right: From the intersection, this walk follows the ‘Audley 6km’ arrow along the management trail. Very soon, the walk comes to an intersection with a bush track on the left, marked with a ‘track closed for regeneration’ sign. Turn left: From the intersection the track heads south-east along the bushtrack. Approximately 30m along the trail the trail crosses a small creek with steep banks and joins up with the track on the other side. Approximately 30m after this the track comes to an intersection with another bushtrack, coming up from the west. Continue straight: this track ignores that trail and continues south-east long the bushtrack. After approximately 50m the track changes to being a servicetrail. This continues along the flat for short time before coming to a large intersection with trails going in several directions. Veer right: From the intersection, this walk follows the ‘Audley’ arrow along the bush track. The walk occasionally passes bicycle track markers as it heads through the bush, coming to the signposted intersection of bush tracks. Continue straight: From the intersection, this walk heads south-east along the wide bush track for approximately 25m before coming to an signposted intersection with another bush track. Veer left: From the intersection, this walk follows the ‘Audley’ arrow along the bush track as it heads through the thick gum tree forest. 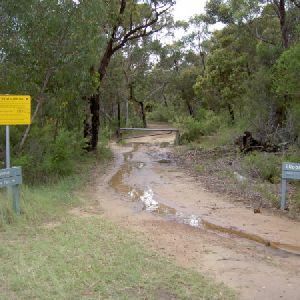 The track crosses the dried up Gnarra Rill Creek bed then continues along until coming to an intersection with a service trail, at some ‘no bicycles’ signs. Continue straight: From the intersection, this walk follows the bush track heading east. 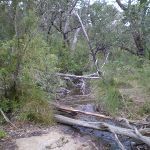 The track heads through the thick gum tree forest for a while before it crosses the small Forest Brook and continues up the short rocky hill on the other side. Shortly, the walk passes a small bush track, signposted ‘closed for rehabilitation’ then soon comes to the signposted intersection of the Loop Trail. 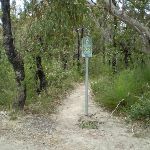 Continue straight: From the intersection, this walk follows the ‘Audley’ arrow along the bush track, winding through the thick gum tree forest for a while before passing a ‘no bicycles’ signpost and coming to the signposted intersection with the Loop Tail. Continue straight: From the intersection the track follows the Audley arrow along the bushtrack, passing another sign to Audley shortly after as it heads along to the top of a long hill. From here the track follows the bushtrack as it heads down the long rocky hill until it flattens out after a set of wooden steps. From here the track follows the bushtrack for a while before it starts to head down another long hill, winding all the way down the rocky bushtrack to the bottom of the valley where it passes a sign pointing back to heathcote and comes to Kangaroo Creek. 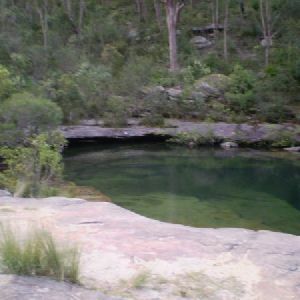 Kangaroo Creek Pools are found on the junction of Engadine Creek and Kangaroo Creek in the Royal National park. This is where Kangaroo creek begins to widen before it joins the Hacking River. The creek is lined with rock and provides a nice place for a splash and cool down. The is some limited shade from the trees in the valley. There are no facilities. 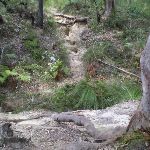 Continue straight: From the creek the track crosses at the rocks to the base of the large metal staircase which it climbs as it climbs up the side of the valley, all the way to the top of the staircase where it continues along the bushtrack. From here the track follows the bushtrack heading up and around the side of the hill, providing views of the valley down to the left as it heads along to the signposted intersection of the Robertson Roundabout. Veer left: From the intersection, this walk follows the ‘Audley’ arrow along the bush track, winding down and along the side of the hill. There are views of the river down to the left as the walk steadily descends towards the bottom of the valley, until it comes to an intersection and a sign pointing to ‘Robertson Roundabout’. 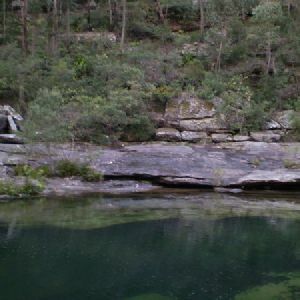 Veer left: From the intersection, this walk follows the bush track heading in the opposite direction to the Heathcote and Engadine arrows, winding down the hill via the rock steps that the track continues down to the banks of the Hacking River at Currawong Flats. Turn right: From the end of the bush track, this walk heads through Currawong Flats, keeping the river on the left, until reaching the bridge. The track turns left and crosses the Hacking River on the bridge, to come to Lady Carrington Drive. Turn left: From the bridge, this walk heads along the road, keeping the river to the left. 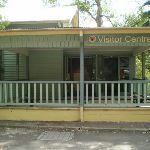 Passing the park lands and picnic area, the road the meets Sir Bertram Stevens Drive and a short distance further comes to the Royal National Park Information Centre. Turn sharp left: From the visitor centre, this walk passes between the centre and the toilet block, heading down the stairs and onto the large, grassed clearing of Ironbark Flats. At the end of this side trip, retrace your steps back to the main walk then Turn sharp left. 2.7km of this walk is very steep and another 1.6km has gentle hills with occasional steps. Whilst another 950m is flat with no steps and the remaining 510m has short steep hills. 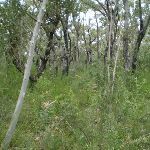 3.2km of this walk follows a formed track, with some branches and other obstacles and another 2.2km follows a clear and well formed track or trail. The remaining (420m) follows a smooth and hardened path. Around 4km of this walk has directional signs at most intersection, whilst the remaining 1.8km is clearly signposted. 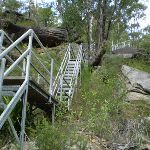 Around 3.7km of this walk requires no previous bushwalking experience, whilst the remaining 2.1km requires some bushwalking experience. This whole walk, 6km is not usually affected by severe weather events (that would unexpectedly impact safety and navigation). Around 4.5km of this walk has limited facilities (such as not all cliffs fenced), whilst the remaining 1.3km is close to useful facilities (such as fenced cliffs and seats). 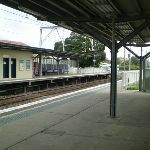 A list of walks that share part of the track with the Engadine to Audley walk. 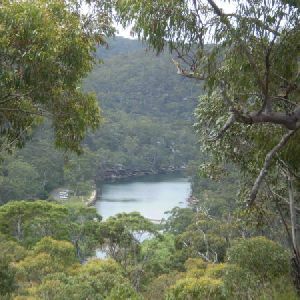 From the Royal National Park Centre, this walk crosses the Hacking River before rising steeply up onto the ridge to fantastic views of the Hacking River. If you look into the distance you can see Cronulla on the horizon at the highest points. 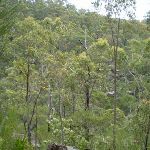 Towards the end of the circuit, with good views of the surrounding bushland, the track descends to the river and back to the visitor centre. A list of walks that start near the Engadine to Audley walk. 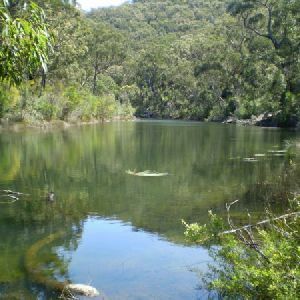 A popular trail for those wanting a well-signposted bush track, and a great place to swim. 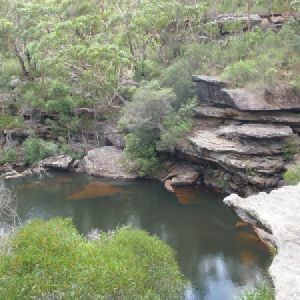 The Karloo Track follows the bush track from Heathcote Railway Station east, into the Royal National Park, to a great set of waterholes on Kangaroo Creek. 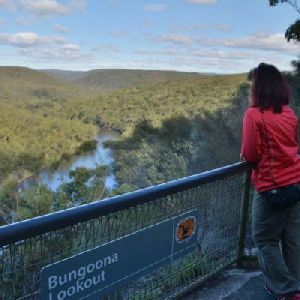 This walk offers more than just a set of waterholes at the end, there are also fantastic views from the ridge, of the surrounding bushland. 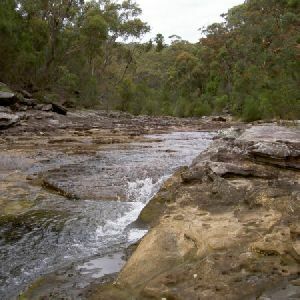 Following Heathcote Creek, this walk is a great overnight walk, often used to introduce new walkers to overnight hikes. A well-signposted and defined track leads you to a campsite with a reasonable level of facilities. There are great views of Heathcote Creek along the way, and many of Heathcote’s varied environments to enjoy. Definitely worth the time to head down to Lake Eckersley, which is perfectly placed for lunch on the first day. 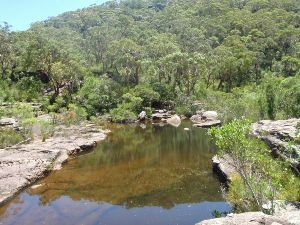 The Goanna Track is a short but pleasant bush track with some good views down over Heathcote Creek. Mostly along management trail, this walk follows the pipeline from Heathcote out to the Goanna Track circuit. Be sure to go down to Lake Eckersley as this is arguably the prettiest part of the walk. If wanting a break, there are some good spots down at water level, with nice views and picnic tables. This is a smooth and mostly flat walk with a fantastic lookout in the Royal National Park. 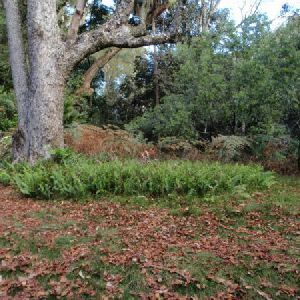 The concrete path starts at the Area Office car park, passes a pleasant and usually quiet picnic area, then winds gently down through the bush. The path leads to the fenced Bungoona Lookout, where you can enjoy views over the Hacking River and a large part of the Royal National Park. Take your time to read the signs and enjoy the plants and rock formations along the way. There are plenty of bench seats along the way to rest. This walk starts at the historical and beautiful Audley picnic area and dance hall. Have a picnic or enjoy a coffee from the cafe, before wandering along the quiet public road alongside Hacking River. 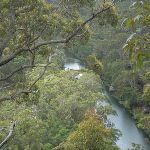 After heading around the locked gate, you walk along the old Lady Carrington Drive trail for about 450m to the Gibraltar Rock and lovely views over the Hacking River. Retrace your steps to enjoy another coffee and get back to the car. This short walk starts near the Willow Tree Picnic Area (near Audley). 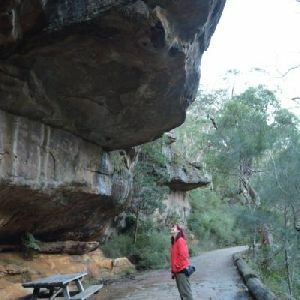 The walk follows a short section of the historic Lady Carrington Drive to a large sandstone overhang called Gibraltar Rock. At the base of the overhang is a rare sandstone cobble section of road. At Gibraltar Rock, there are also good views along the Hacking River. This a nice way to stretch your legs whilst picnicking in the area. 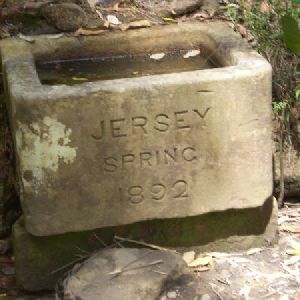 Starting near the Willow Tree Picnic Area (near Audley), this walk follows the northern section of the historic Lady Carrington Drive to Jersey Spring. Past the sandstone overhang of Gibraltar Rock, this walk follows the old road and the Hacking River, enjoying the palms and tall gums along the way. There is an information sign at the spring explaining some of the history, and a short distance further will bring you to a clearing, with no facilities but a nice place to eat lunch. On this walk you follow the historic Lady Carrington Drive from Willow tree picnic area to Calala before returning the same way. The walk passes two icons on the old road, Gibraltar Rock and Jersey Spring whilst crossing several small brooks. 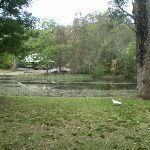 At Calala you will find a large clearing and natural shade from some large trees, there is also access down to a small beach on the side of the shallow Hacking River. 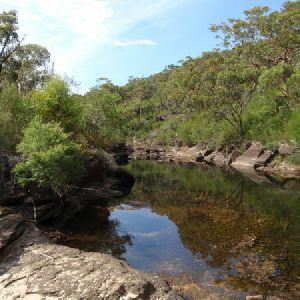 Following well-maintained bush tracks and service trails, this walk descends into the Royal National Park, to a spectacular set of pools and cascading falls on South Western Creek. 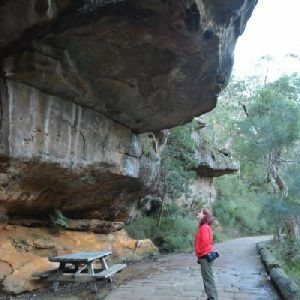 The Royal National Park Information Centre, on Sir Bertram Stevens Drive, is approximately in the middle of this walk and is a great spot to grab a bite to eat before continuing to the falls. Unfortunately, it is necessary to have a car to get from Winifred Falls out of the park. Winifred Falls is one of the best waterfalls in Royal National Park. 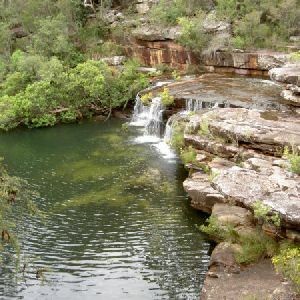 This walk not only goes to the magnificent falls but has the optional side trip down to the beautiful South West Arm Pools. Anice Falls are not as great as Winifred but worth the visit. The walk then continues through the heath to Maianbar Rd. 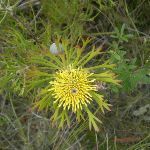 http://new.wildwalks.com/wildwalks_custom/includes/walk_fire_danger.php?walkid=nsw-royalnp-eta Each park may have its own fire ban, this rating is only valid for today and is based on information from the RFS Please check the RFS Website for more information.